Filed under Israel and Palestine, israel and palestine conflict by Father Dave on Jul 28th, 2013. Comment. More direct and prophetic words from Noam Chomsky! I must say that I’m not used to Chomsky speaking in such an unqualified way. It seems that he’s tired of maintaining an appearance of academic impartiality. And why should he? The human cost of this tragedy is far too high to worry about professional protocols. This violence should make us angry – angry enough to pray with passion and to commit ourselves to non-violent activism for justice. Gazans committed a still greater crime a year later by blocking the coup attempt, leading to a sharp escalation of the siege and attacks. These culminated in winter 2008-09, with Operation Cast Lead, one of the most cowardly and vicious exercises of military force in recent memory: A defenseless civilian population, trapped, was subjected to relentless attack by one of the world’s most advanced military systems, reliant on U.S. arms and protected by U.S. diplomacy. Of course, there were pretexts – there always are. The usual one, trotted out when needed, is “security”: in this case, against homemade rockets from Gaza. The Israeli government was advised by its highest intelligence officials that the truce could be renewed by easing the criminal blockade and ending military attacks. But the government of Ehud Olmert – himself reputedly a dove – rejected these options, resorting to its huge advantage in violence: Operation Cast Lead. A further goal might have been to drive them beyond the border. From the earliest days of the Zionist colonization it was argued that Arabs have no real reason to be in Palestine: They can be just as happy somewhere else, and should leave – politely “transferred,” the doves suggested. This is surely no small concern in Egypt, and perhaps a reason why Egypt doesn’t open the border freely to civilians or even to desperately needed supplies. A necessarily superficial impression after spending several days in Gaza is amazement, not only at Gazans’ ability to go on with life but also at the vibrancy and vitality among young people, particularly at the university, where I attended an international conference. But one can detect signs that the pressure may become too hard to bear. Reports indicate that there is simmering frustration among young people – a recognition that under the U.S.-Israeli occupation the future holds nothing for them. The Gaza Strip could have become a prosperous Mediterranean region, with rich agriculture and a flourishing fishing industry, marvelous beaches and, as discovered a decade ago, good prospects for extensive natural gas supplies within its territorial waters. By coincidence or not, that’s when Israel intensified its naval blockade. The favorable prospects were aborted in 1948, when the Strip had to absorb a flood of Palestinian refugees who fled in terror or were forcefully expelled from what became Israel – in some cases months after the formal cease-fire Israel’s 1967 conquests and their aftermath administered further blows, with terrible crimes continuing to the present day. The signs are easy to see, even on a brief visit. Sitting in a hotel near the shore, one can hear the machine-gun fire of Israeli gunboats driving fishermen out of Gaza’s territorial waters and toward land, forcing them to fish in waters that are heavily polluted because of U.S.-Israeli refusal to allow reconstruction of the sewage and power systems they destroyed. The Oslo Accords laid plans for two desalination plants, a necessity in this arid region. One, an advanced facility, was built: in Israel. The second one is in Khan Yunis, in the south of Gaza. The engineer in charge at Khan Yunis explained that this plant was designed so that it can’t use seawater, but must rely on underground water, a cheaper process that further degrades the meager aquifer, guaranteeing severe problems in the future. There were hopes that Mohammed Morsi’s new government in Egypt, which is less in thrall to Israel than the western-backed Hosni Mubarak dictatorship was, might open the Rafah Crossing, Gaza’s sole access to the outside that is not subject to direct Israeli control. There has been a slight opening, but not much. The journalist Laila el-Haddad writes that the reopening under Morsi “is simply a return to status quo of years past: Only Palestinians carrying an Israeli-approved Gaza ID card can use Rafah Crossing.” This excludes a great many Palestinians, including el-Haddad’s own family, where only one spouse has a card. One young woman reports on her late father’s illness. Though he would have been proud that she was the first woman in the refugee camp to gain an advanced degree, she says, he “passed away after six months of fighting cancer, aged 60 years. A visitor to Gaza can’t help feeling disgust at the obscenity of the occupation, compounded with guilt, because it is within our power to bring the suffering to an end and allow the Samidin to enjoy the lives of peace and dignity that they deserve. 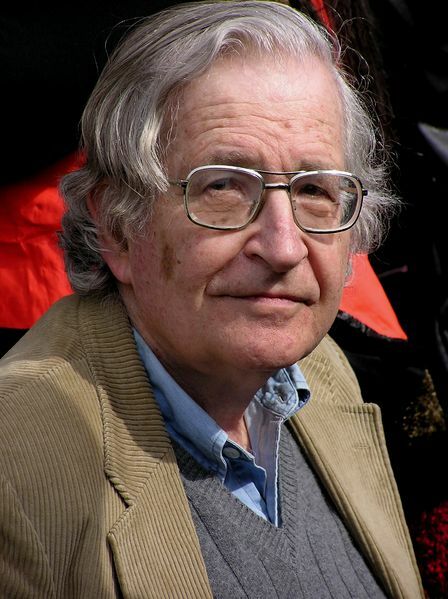 Noam Chomsky’s most recent collection of columns is “Making the Future: Occupations, Interventions, Empire and Resistance.” Chomsky is emeritus professor of linguistics and philosophy at the Massachusetts Institute of Technology in Cambridge, Mass. Tags: Gaza Strip, noam chomsky, West Bank. Filed under Israel and Palestine, israel and palestine articles, israel and palestine conflict, map of israel and palestine by Father Dave on Nov 19th, 2012. Comment. Filed under Israel and Palestine, israel and palestine articles, israel and palestine conflict, map of israel and palestine by Father Dave on Nov 18th, 2012. 3 Comments. If Chomsky can find a visit to Gaza encouraging then we all have grounds for hope! The outspoken intellectual was a guest in the coastal area of Rafah for two days. 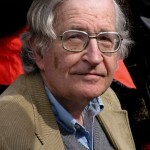 Speaking after the conference, Chomsky told Reuters he was stirred by how Palestinians continued to conduct themselves. “[My] main impression is how inspiring it is to see people living under extreme duress but nevertheless remain vibrant, vigorous, active, hopeful, resilient and continuing the struggle,” he said. Chomsky was denied entry to the West Bank in May 2010 by Israeli immigration officials. His intention was to visit Birzeit University and the Institute for Palestine Studies in Ramallah in the West Bank. An Israeli Interior Ministry spokeswoman said immigration officials at the border crossing had misunderstood Chomsky’s intentions, thinking initially he was also due to visit Israel. Chomsky, a professor of linguistics at the Massachusetts Institute of Technology, has frequently and outspokenly criticized Israel’s policies toward Palestinians and has openly slammed U.S. regional policy. Later on Saturday he visited Gaza port and voiced anger over Israeli naval actions in seizing an international pro-Palestinian activist ship in the Mediterranean Sea to prevent it breaching Israel’s naval blockade of the Gaza Strip. The ship Estelle was carrying 30 activists from Europe, Canada and Israel, humanitarian cargo such as cement, and goodwill items such as children’s books, a mission spokesman said earlier on Saturday. Palestinians describe the curbs as collective punishment for the Gaza Strip’s 1.6 million residents, and supporters abroad have mounted several attempts to break the blockade by sea. Most were stopped by Israel, and in an incident in May 2010, Israeli naval commandos killed nine Turkish activists in clashes aboard their ship after they attacked the Israeli soldiers. An inquiry into that incident commissioned by U.N. Secretary-General Ban Ki-moon found that Israel’s Gaza blockade was legal but faulted the Israel Navy for using excessive force. Chomsky last visited Israel and the West Bank in 1997, when he lectured at Ben-Gurion University and also at Birzeit. Tags: Gaza Strip, noam chomsky. Filed under Israel and Palestine, israel and palestine articles, israel and palestine conflict by Father Dave on Oct 24th, 2012. Comment.